A couple decades ago businesses were a lot less vulnerable to the impacts of negative client feedback. Back then if someone was upset with their service provider they would often call, express their concerns, and if the issue wasn’t resolved, verbally tell their friends and family about their bad experience. This had a negative impact on their bottom line, no doubt. But the negative sentiment was generally contained within the direct network of the disgruntled client and would diminish over time. Those were the good ol’ days. Anymore, with the whole internet, social media, and online review thing, negative word of mouth travels much quicker and lingers much longer. But it’s not all bad. The same technology also offers opportunities to prevent, confront, and even spin negative feedback to your advantage. This requires business owners to implement the processes and tools necessary for them to effectively recognize and respond to issues before they able to fester. Answer phone calls and return messages. This alone goes so far with increasing client retention as our research shows that poor communication is the number one reason clients eventually defect. Attaching contact information on all correspondence which includes an email address and phone number of someone who can handle their issues. Clients shouldn’t have to navigate phone menus or a website to get in touch with the right person. A customer support ticketing system where clients can submit issues and concerns and monitor their progress. At Rocket Referrals we recommend uservoice for this type of service, although consideration should be given to specific industries. Offering live chat on the website. This is an easy way to connect with both clients and prospects that have questions about products and services. Several companies offer a widget installed on a website that will send a notification of new conversations. A dedicated mobile application that allows clients to communicate issues directly to the business. Most industries have vendors available which specialize in providing these apps to a business, which can be branded and passed down to clients. 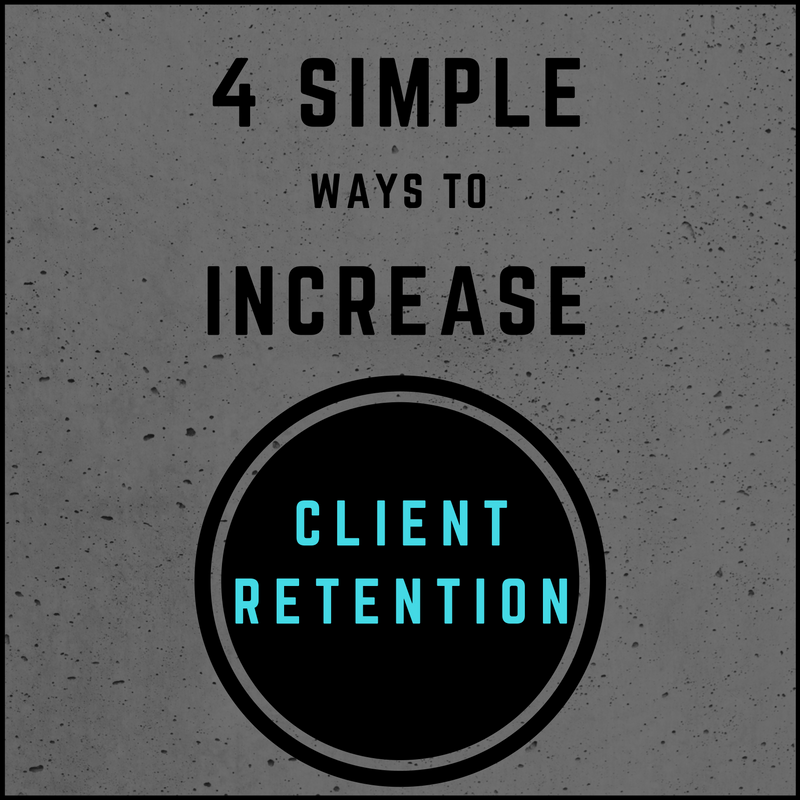 Often times clients head straight to Facebook and Twitter to express their discontent. In the process they may tag the business in the post allowing a large audience to link the negativity directly with the company profile. This is an effective way to vent and gain the attention of the business in question. That being the case, a company should monitor their social media profiles to quickly identify and respond to these sorts of posts. Resolving negative feedback online should include both a public and private response, as the comments have a much larger impact if they’re left unresolved. All the major social media and online review platforms provide the opportunity for a business to respond directly to feedback, both negative and positive. When responding to negative feedback a business shouldn’t appear defensive or combative. Rather, a polite and patient response will resonate more positively with the client and the public. Additionally, if possible, the disgruntled client should be contacted directly to resolve the issue. More often than not they’ll openly express gratitude for the response. This also shows onlookers that the business takes care of its clients when problems arise. The best way of approaching negative client feedback is to resolve before it becomes malignant. This is achieved with a proactive effort of uncovering client pain points at their earliest stages and putting systems in place to address these issues. Often times detractors never express disgruntlement openly. One day everything is hunky-dory, it seems, and the next they up ‘n leave. What’s that all about? Truth is, the majority of clients don’t make an abrupt decision to defect. Rather, their discontent is left to fester until the breaking point. This period of time between initial discontent and defection is the window of opportunity for businesses to fix client issues before it’s too late. Yet, because many clients don’t actively express their discontent, the responsibility rests on the businesses to pinpoint them. The NPS is an excellent tool for this purpose. Regularly scheduled NPS surveys serve as individual radars, scanning for the slightest blips of discontentment. Clients are much more likely to express their pain points to a business when they’re asked by the business. Respondents of the NPS scoring 6 or lower (detractors) should be asked a follow up question: “Could you let us know what we can do to improve our service?”. A direct phone call to the client should happen within 24 hours of responding to the survey, in attempt to resolve their issue. This proactive approach of gathering client feedback will dramatically increase the likelihood that detractors are identified. From here a business can effectively resolve individual problems ad prevent defection. The NPS will provide useful information regarding common problems clients are experiencing. This information can be used to influence change within the business to prevent these issues from popping up in the future. For example, clients are often upset at their insurance agency following a significant increase in their premiums during renewal. It’s easy to assume that clients are irked simply because of the higher prices. Research shows, however, the real culprit is the lack of communication by the agent to prepare the client for rate increases. Putting processes in place to notify clients of beforehand will forestall initial price shock and mitigate the issue altogether. 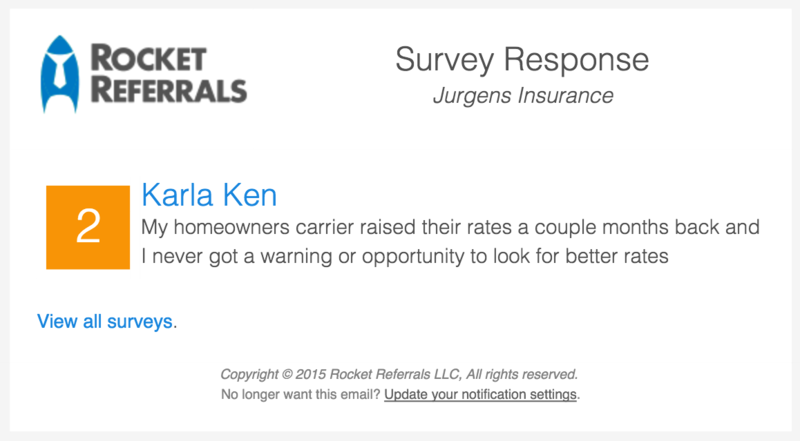 Rocket Referrals automatically helps improve your company's referrals, retention, reviews and relationships. What is a Promoter Worth?